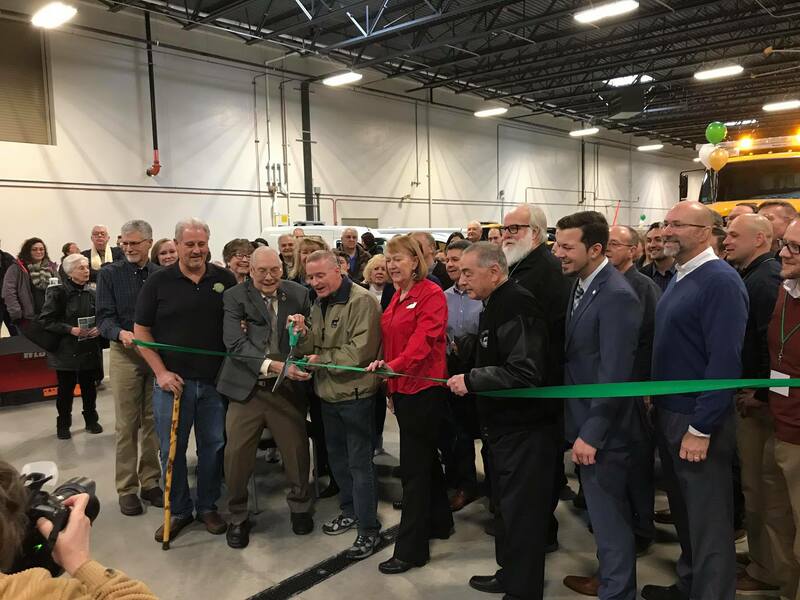 A year ago, Elk Grove Village began construction on a new 85,000 sq. ft. public works facility. 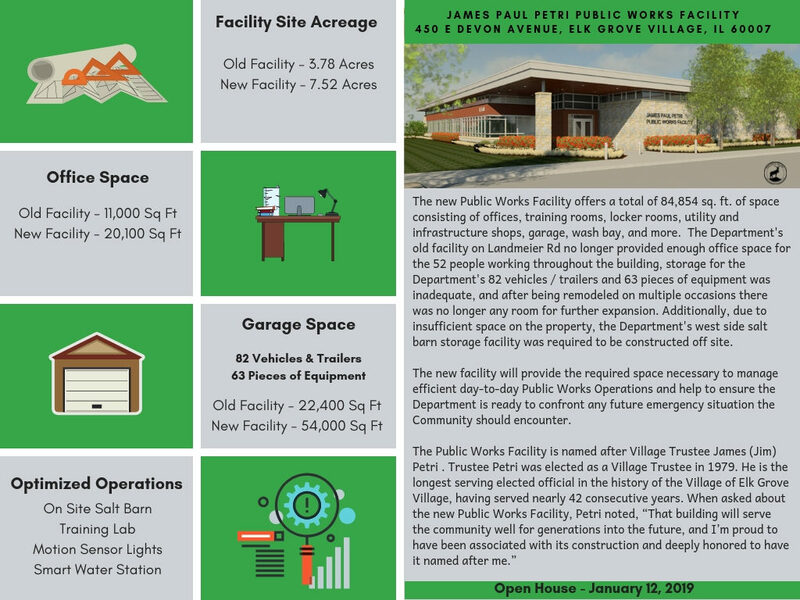 On January 12, we celebrated the completion of the new James Paul Petri Public Works Facility with a Public Open House and Ribbon Cutting Ceremony. 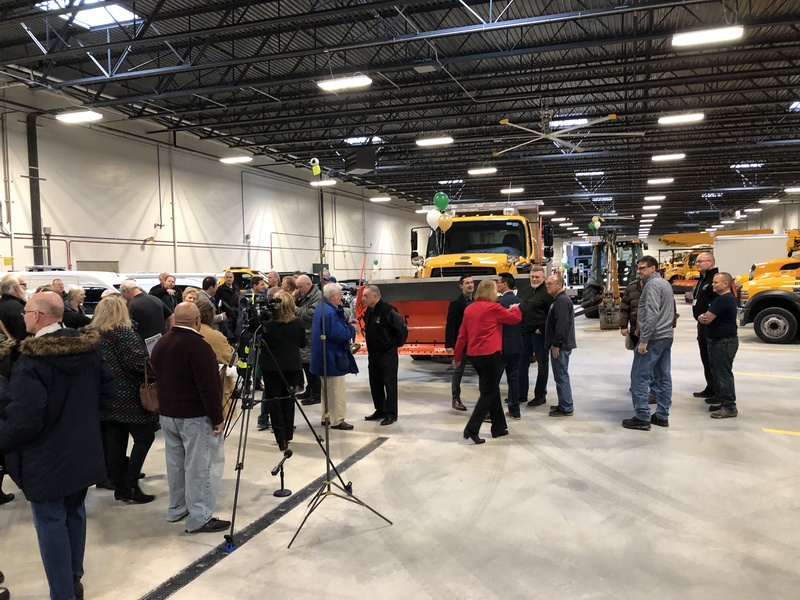 Two days later, on January 14, the Public Works Department officially moved in and began operations at the new facility. Throughout the construction process our team learned numerous lessons. Moving the Public Works Department to a new building has been one of the highlights of my career in local government. The entire process has afforded me the opportunity to lead numerous creative projects over the last year. It has personally reinstated my beliefs in the importance of communication, flexibility, accepting imperfection and empowering employees. Communicate – As in all aspects of a successful local government organization, when you are planning for the construction of a new facility it is critical to communicate with your team. Throughout the process, be sure to routinely update your entire team about the progress of the new building, anticipated move date, and expectations of each employee throughout the construction and move. A lack of communications during this process will lead to team members feeling forgotten, allow rumors and bad feelings to flourish, and leave core project leaders scrambling to finish tasks that should have been delegated. Be Flexible – We broke ground on the 9.8 acres public works site for the new facility in the fall of 2017. Over the course of a year, our demands for the new facility were continually evolving based on department needs and ongoing planning. While we had a strong plan in place to guide us through the construction and subsequent move, we were also open to suggestions for improvement throughout the process and deviated from the plan when necessary. Had we stuck strictly with the plan as originally designed in the fall of 2017, we would have opened to the public this January with a facility already outdated for our ongoing needs. Disruption – Eventually you have to throw the switch and move your operations from one facility to another. No matter how much communicating and planning you do, there will be an inevitable period where your operations are interrupted for the actual tasks of moving. In our case, equipment, vehicles, computers, phones and printers all had to be transferred from the old facility to the new one. We were able to accomplish moving all of these items with minimal disruption to day-to-day operations. The disruption only lasted approximately 48 hours. This quick move was made possible by a fantastic effort from every member of our team. Get Out of the Way – Working in local government requires us to wear numerous hats and assume roles we never imagined. The moving process will amplify this sentiment beyond what you thought possible. During the moving process, numerous individuals stepped up to assist in ways that went well beyond their typical responsibilities. When an employee steps up to volunteer, make sure you give them the tools they need to succeed and get out of their way. 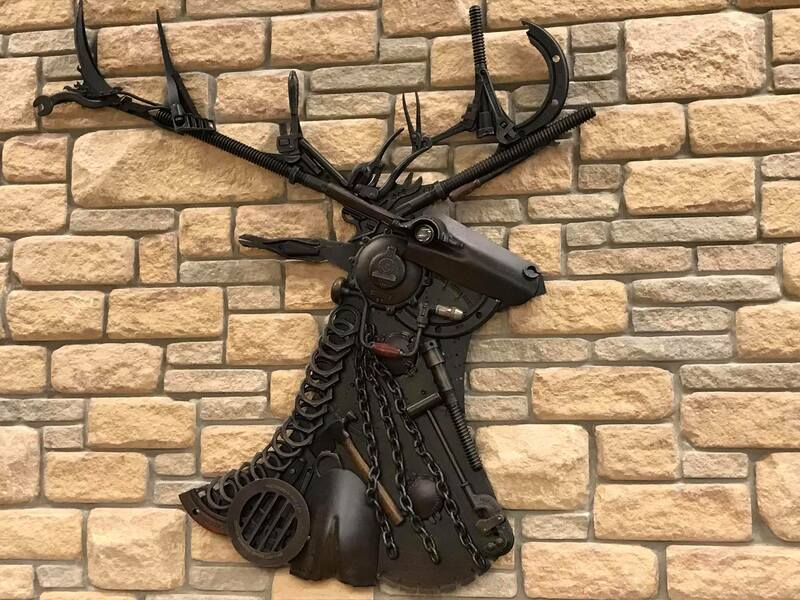 Our Department’s Customer Service Assistant quickly learned the procurement process and became a de facto purchasing agent for all appliances, office equipment and supplies. She took on this role to relieve me from the burden of gathering quotes, ordering, organizing deliveries and processing purchase orders. Similarly, when our Senior Engineer recognized the burden the moving process was placing on our internal IT staff, he stepped up and took the lead to organize, move and assist in connecting over 30 computers, phones, and printers to the new network. On a personal note, I took on the planning for a new workout facility, individually designing the layout, researching, and ordering the equipment. I never imagined I would be tasked to oversee the design and development of a gym (if you saw me, you would concur) but this project gave me the opportunity to serve the needs of our employees. Finally, almost every member of our Department volunteered in various ways to assist with the Open House. Moving to a new building proved to be an exceptional team building activity and empowered a variety of employees in new ways, developing the skills that will carry through to the future. Overall the construction of our new facility and move went well. To-date there are still a small number of outstanding items but nothing that has prohibited us from completing our day-to-day operations. Our Public House on January 12 was well received by our residents with over 400 people in attendance. 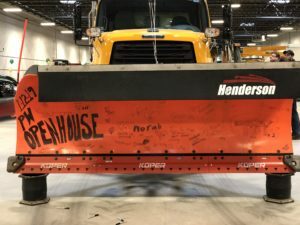 The skills developed by our staff throughout this process will help our Public Works Department better serve the needs of our community for years to come.